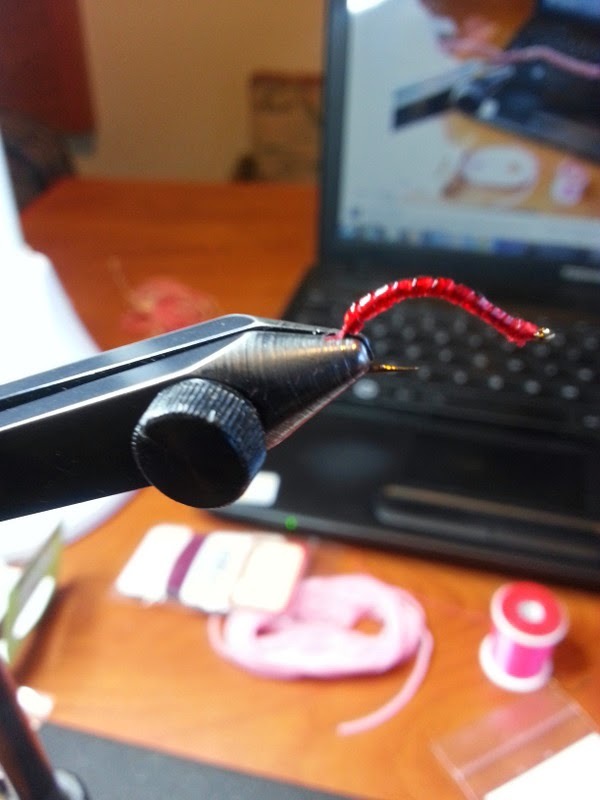 The River Damsel: When Times Get Tough, Go Bird Watching! When Times Get Tough, Go Bird Watching! Yeah, I know...The Tough Get Going... And they don't try to find an escape route. (Like a bird can.) Yes, that is the way it was last weekend in Montana. As always, I looked at the weather and barometer, the water flows on USGS, and got my fly box ready according to fly shop reports. Well, one of the three panned out. Ha! Yes, it was a 30% chance of rain, which we got at the end of the day in a few sprinkles. But, the water flow, which looked pretty good the day before we left, threw us off big time after the 3 days. And the barometer stayed below 30. And when it came to the bugs, it really didn't matter, as the fish were in disarray in getting accustomed to the higher flows. Such is life. Yeah, I know. That's why they call it fishing. I really dislike that phrase by the way!!! 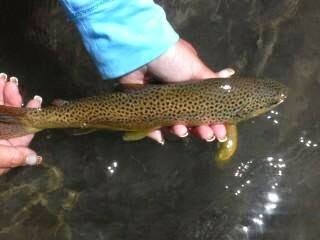 My friend Kelly, caught her first Montana brown. I believe it was about the 3rd cast... But, it wouldn't be all that easy the rest of the way. We worked hard for our catches. And we really didn't catch more than two fish on a certain fly. It was all very strange. It was our first fishing trip together and we had a good time. And when catching got tough, we were forced to get tougher! Searching the water scum and rock bottoms only gave us a few clues. Sowbugs. San Juan Worms. And occasionally, the fish would bite at our fly near the bottom of the river bed. But, it was slow and yes, there was a bit of frustration. My usual spots didn't pan out like they did so many times before. And the one place that I have had trouble with, actually brought me fish. So, nothing made much sense. No hatches, no rising fish. Just a lot of silence. But, I still love Montana and I still love this river. Sometimes, it just doesn't gel. The only ones that seemed to land more fish were those in drift boats. The wading throng would go slowly back to their vehicles at the end of the day, shaking their heads. A trip where saying good bye was bittersweet... maybe because every catch was so earned!!! And a trip where I learned that I can pack a pre-made sammy just as well as bringing the whole fridge with me... much easier!! And finally, it was a trip that when Kelly says that it is "lights out"... that doesn't mean that I have time for a dozen more flies!!! The catching of fish is just the icing on the cake after being in the beautiful outdoors with friends, wildlife, good food, and, sparkling water. How is that for a little pep talk! Gotcha Mel... I will remember to appreciate those things that are always there. Fish, on the other hand... are a little bit more fickle. What a fun piece to read, as a Montana Fly Fisher I could feel your need for fishable water. You certainly gave the Sand Hill Crane some good press and the fish was awesome, ya Kelly! James ~ I was excited to bring Kelly up with me to experience Montana fishing. I wanted to take advantage of the Memorial Day Weekend, but I will remember next year that these flows can go up pretty quick on this river. Of course for one who has never been to Montana, it would have been a plus just to see the beautiful scenery. I don’t know why but I have always assumed that once you got to Montana you were in trout paradise, just goes to show how much I know about fishing there. Thanks for sharing some beautiful images. We get the Sand Hill Crane migration in the fall. Bunches of them over toward the Delta. The DFW even has tours. A cool bird. Mark ~ Aren't they the coolest birds? I just love watching them take off in flight... It is amazing! When you've been to one of the Trout Paradises and look, the scenery is enough to drop your jaw in amazement. Beautiful photos by the way. Well done. Sometimes those trips with the fewest fish provide more memories. Go figure! Steph ~ My best memory of this trip is seeing Kelly so excited over her first MT brown... and after just a few casts... = ) Anything after that, was just gravy. Even if it was of a thinner consistency. And those Sandhills... so much fun to watch. It was still a good time for sure.